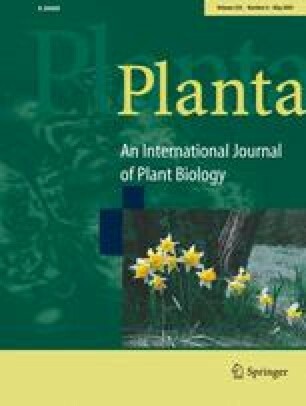 The miR166/165 group and its target genes regulate diverse aspects of plant development, including apical and lateral meristem formation, leaf polarity, and vascular development. We demonstrate here that MIR166/165 genes are dynamically controlled in regulating shoot apical meristem (SAM) and floral development in parallel to the WUSCHEL (WUS)-CLAVATA (CLV) pathway. Although miR166 and miR165 cleave same target mRNAs, individual MIR166/165 genes exhibit distinct expression domains in different plant tissues. The MIR166/165 expression is also temporarily regulated. Consistent with the dynamic expression patterns, an array of alterations in SAM activities and floral architectures was observed in the miR166/165-overproducing plants. In addition, when a MIR166a-overexpressing mutant was genetically crossed with mutants defective in the WUS-CLV pathway, the resultant crosses exhibited additive phenotypic effects, suggesting that the miR166/165-mediated signal exerts its role via a distinct signaling pathway. This work was supported by the BK21, the BioGreen21 (305-20040050), and the National Research Laboratory programs and by grants from KRF (R02-2003-000-10001-0), KISTEP (M1-0219-00-0003), and from the Plant Signaling Network Research Center.